In the early 90's four of Christian music's most pioneering artists converged & formed this group & recorded three albums. Songs about life, love & the pursuit of God with relentless creative fervor. - Publisher :In the early 90's four of Christian music's most pioneering artists converged & formed this group & recorded three albums. Songs about life, love & the pursuit of God with relentless creative fervor. 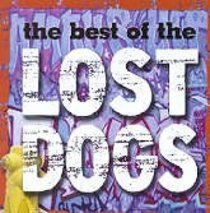 About "Best of Lost Dogs"
:In the early 90's four of Christian music's most pioneering artists converged & formed this group & recorded three albums. Songs about life, love & the pursuit of God with relentless creative fervor.